The 2019 ConocoPhillips Interior Youth Festival is a wrap! 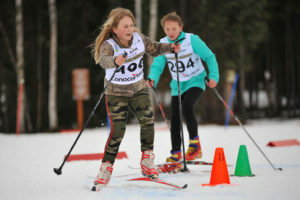 The second day of the ConocoPhillips Interior Youth Festival, held this Wednesday, featured a Freestyle Ski-Cross – predominantly downhill, turning, twisting freestyle race. 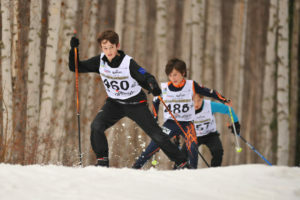 NSCF-FXC Head Coach Alasdair Tutt created a fun course with really tricky conditions. It had obstacles that required skiers to do a 180 and ski backwards, and swerving around gates and going in and out of tight circles with oncoming skiers. 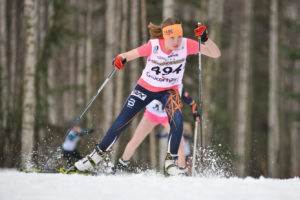 The biathlon with balls and bucket set up was fun and in many of the races, it wasn’t the fastest skier to the station who would go on to win the heat, but rather the most precise to get through that station. Thanks again to everyone who participated. See results here. Photos by FXC Comp Team member, Daryn Espinosa.